Tapered square toe leather cowboy boots with a slanted heel and contrasting leather overlay detailing. High mid calf shaftHeel height: 7cm / 2.8"
Logo Cowboy Boots in ,Novelty. 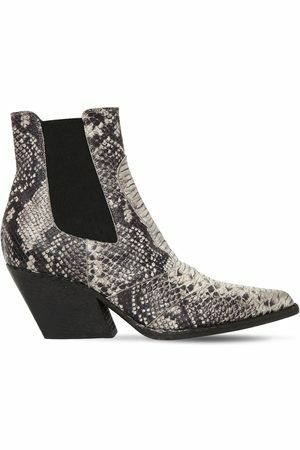 Ankle Half Cowboy Boots in Animal Print,Neutral. Tall Half Harness Cowboy Boot in .